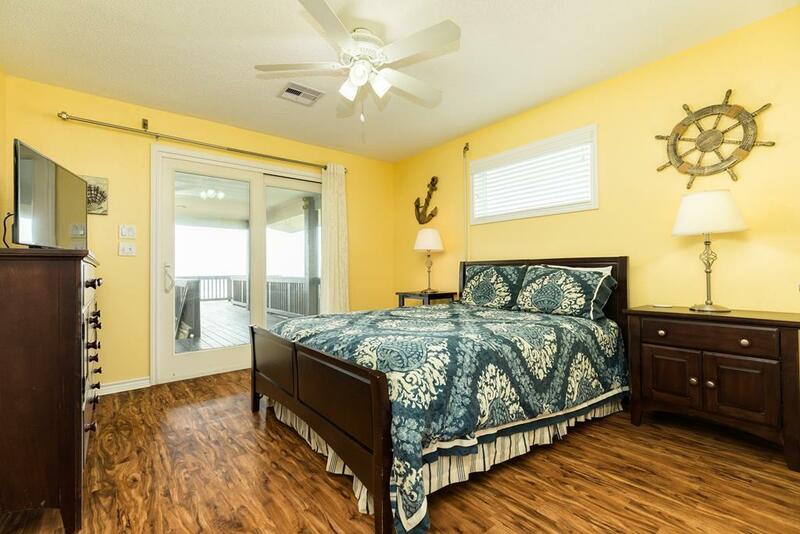 Recently updated interior, elevator & ramp, 2 master suites and beachfront Gulf views! Comfortably furnished, this single-level vacation rental is great for guests of any age who aren’t able to do stairs easily. 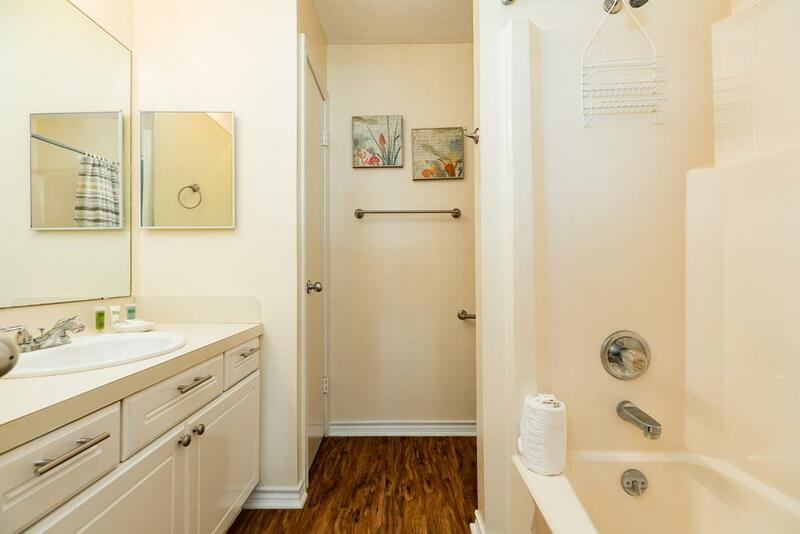 The home features an elevator & ramp plus a second master suite that is wheelchair-friendly with a queen bed and an accessible bathroom with roll-under sink and fold-down bench in the shower. The main master suite is luxuriously king-sized, plus there’s another queen bedroom and a bunk bedroom. 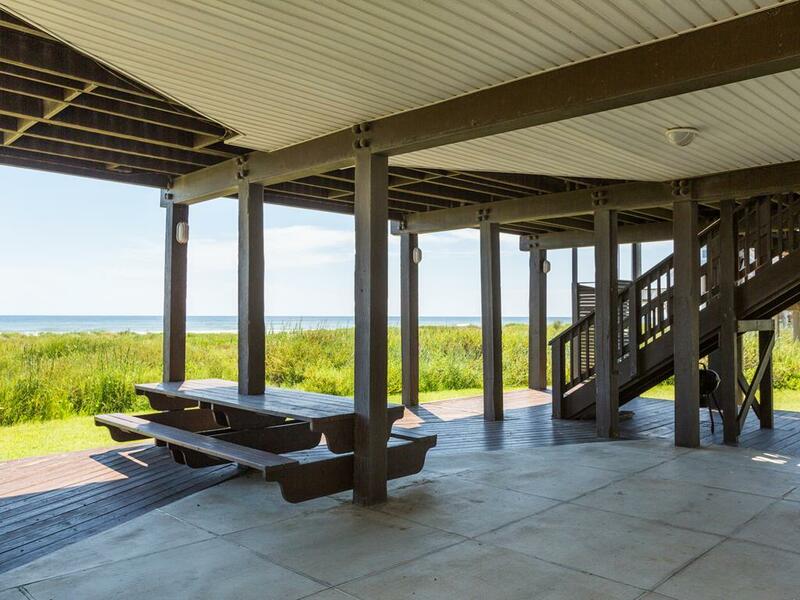 Walls of windows showcase the Gulf views throughout the open floor plan, but you won't be spending much time indoors when there’s a huge deck and sand & surf just a few steps away! The house is beautiful. The kids were able to run around and enjoy the house. We opened all the sliding doors and the breeze went all through the house. Kitchen had everything we could think of and more. We are all talking about getting together and renting this house on our next vacation for a week. We hated to leave. The ramp and elevator was perfect for my disabled husband. 4th time renting. It was great. Bring a fire stick for bedroom TV's, otherwise we only could see public TV channel 8 in the bedroom. Lots of room, elevator was very handy. Property looked nice during my search online and was true in person. We rented this house last year and were very disappointed with it, especially the appliances. When we checked in I reiterated my concern and was informed that all new appliances had been put in by the "new owner". The appliances are beautiful, especially the big double door refrigerator. Although the kitchen is much too small for this size of house, the rest of the house accommodates our needs. CELL PHONES did not work. We did not call the management office, but the internet nor our cell phones worked using their passwords/codes. This was a retreat for all of us, so we did not miss "technology"... but note from past experience: Leasing Office takes care of complaints immediately..
Our family has rented this property several times over the years. We absolutely love this house and will definitely rent again. There were recent changes that were an inconvenience -- such as only one TV (in main room) is hooked up to Direct TV-- not great if you have kids in the bunk room or adults that want to watch sports. There is no water hose outside, which is a major bummer if you want to rinse your gear down after coming back from beach. Shore Fun was just what we needed. The elevator was key for our handicap folks and Sea Isle gave us the Ocean View and closeness to the beach, while those of us who like to fish enjoyed the pier. Thanks for sharing this one with us. The ramp and elevator are a real plus for everyone but especially for anyone with health or mobility issues. The new dishwasher & range were very nice. We were hoping for a new fridge!! This was our second stay in this house and was very pleased both times. Wonderful house, views, beach....stay here and you'll see. Wonderful house for our Girls Just Want to Have Fun Weekend. Spacious, open, and tasteful. We loved the house, all of the bedrooms were of a good size and having 3 bathrooms was great! The elevator was a big plus! The house was super clean and well equipped. Having the beach right in front was so relaxing. The staff was always very accommodating when I called. There were only two things that I would change and that is replacing the mattresses in the bedrooms and having lounge chairs on the deck. Other than that it was perfect! We would definitely rent this house again!! Great floorplan, clean and easy access to beach. Great house! The ramp & elevator were a big help. The kitchen is a bit small and the fridge is on the small side too - no ice maker. The deck is very nice and the downstairs has ample space. This house worked well for us and we would stay here again. We had an issue with one of the beds. I called the office and they came and fixed it immediately. Great customer service! This is a quite property that has immediate access to the beach which was extremely nice!!!! 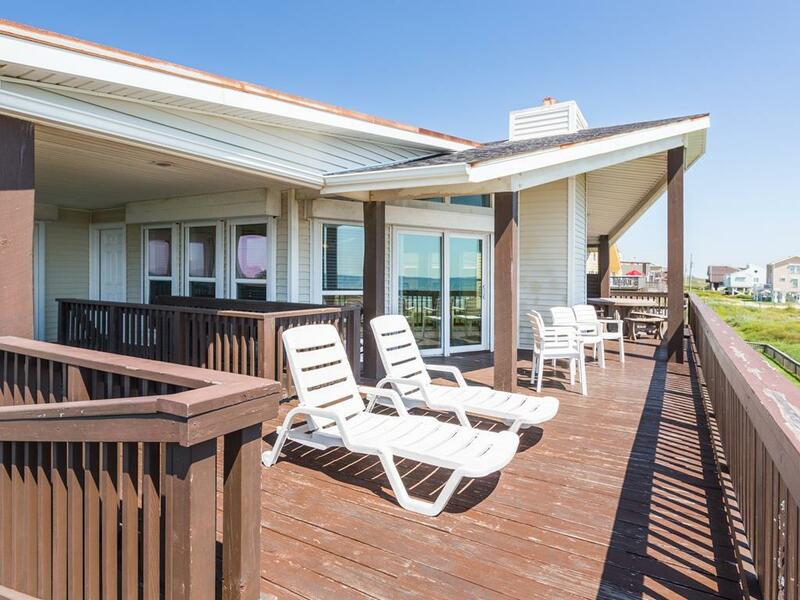 This property is advertised with a pool and pier as amenities. Neither the pool nor pier are im walking distance from this property which was a disappointment. The living areas are a nice size, but the bedrooms are on the smaller size. Great location and easy parking, separate street off the highway makes it quite and easy access. We loved this house. There were some minor maintenance issues (squeaky beds, washer/dryer noise, cracked chairs, and some peeling paint on the desk) BUT, the view was phenomenal(from inside and on the deck), the house is very comfortable, plenty of kitchen utensils, easy beach access, plenty of bedrooms, bathrooms and seating. It's a little bit of a drive from Galveston Sea Wall, but we loved it since the beach was practically ours the entire week. My favorite part was watching the sunrise every morning and drinking coffee on the deck. My least favorite part was having to leave. 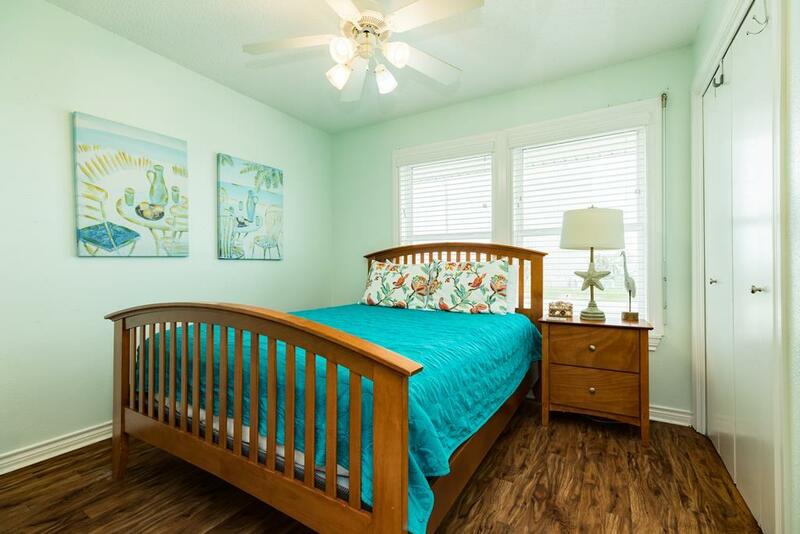 Great house...wonderful layout..close to the beach..fantastic porches! This was our second year booking Shore Fun and it is a great property with a nice layout. We appreciate the covered deck area during sunny times. Our only wish is that the kitchen was slightly larger just because it is tough to fit more than two people in there at a time! Nice property. Nice home, but unfortunately didn't sleep well due to very squeaky bed frame. My adult children also slept on squeaky beds. Hello Z Family, We are sorry to hear that there was anything that detracted from your vacation at Shore Fun. Please don't ever hesitate to call our office during your stay - our property services staff is happy to quickly address any issues that arise! This was our 4th Memorial Day weekend in a row to enjoy Shore Fun with 3 couples and 6 kids. The location and beach access is great. The elevator and ramp are a big help for getting coolers and bags to the house. Our only main complaint each of the last 4 years are the 2 queen mattresses which squeak and squawk each time you move, roll over or sit up on the bed. This year, we also noticed the 4 bunk bed mattresses are getting tattered and worn. They did update all the living room furniture this year with very nice quality sofas, chairs and tables. Nice property, but it needs some attention. 6/5/17 - We are happy to announce that The mattresses in all four bedrooms were replaced in March - with brand new Simmons Beautyrest mattresses! This is an excellent property, and the elevator was terrific for carrying up bags and groceries. I would rent this one again! This was a very nice property for our family vacation, the sliding doors were a bit hard to open and close other then that it's a great place to stay, we had a very good family vacation. 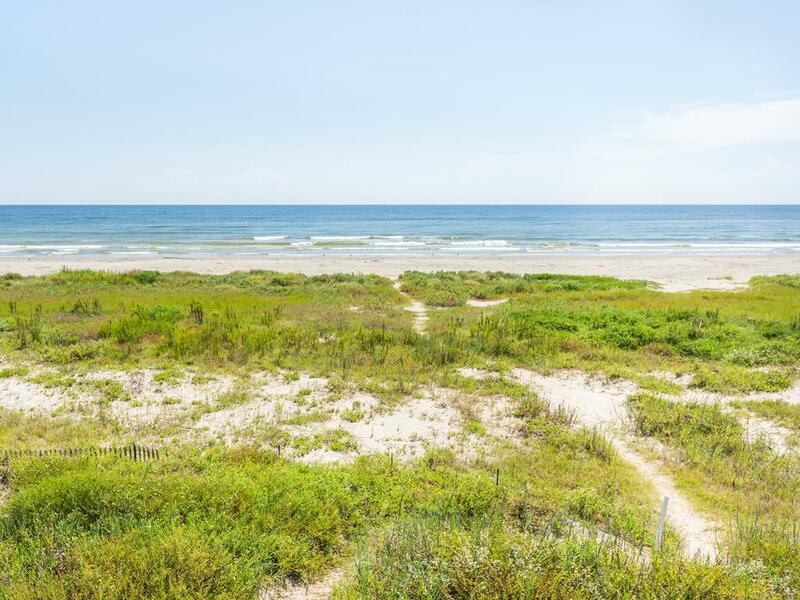 Shore Fun is in a great location in West Galveston. This property has a ramp and elevator, which was wonderful for our elderly guests. From the covered balcony, you'll have a clear view of the beach and ocean. The open kitchen/dining area and family room all have ocean views. It is a great family beach house. We plan on renting it again next year. We had a great 2015 Christmas family get together and Shore Fun made it so comfortable and enjoyable. The weather was fantastic. We loved the beachfront and were at the beach every day. If you have someone with accessibility challenges - look no further. 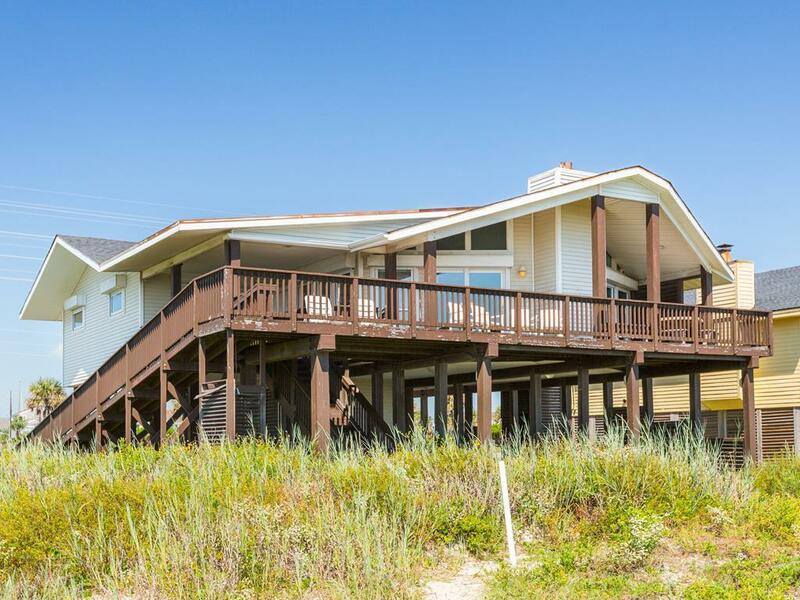 The floor surfaces, hallway, handicap equipped bathroom, and elevator make a trip to the beach so easy. The furnishings were what you typically find, but the freshness and cleanliness were exceptional! Excellent home for those who have problems with stairs. Ask for instructions and precautions on how to properly use the elevator. Most of our issues were as a result of user error. Nicely furnished kitchen. This was a great property for our group and we loved having the convenience of the ramp and the elevator for hauling all of our things upstairs! There was plenty of seating out on the deck and we like that the house was all on one level. It has easy access to beach. The elevator allows retiree members of family enjoy time at the beach with rest of family. We've rented several times (all different houses) from SandnSea, and this is the house we love the best; happens to be our 2nd stay. We 'shore' had fun at Shore Fun beach house. With steps, elevator, and a ramp, our elderly family members could easily get into the house for a visit and loading & unloading cars was a breeze. It is also beachside, allowing easy access to the beach by a trail through the dunes. During our visit there was no seaweed - the water was fantastic! 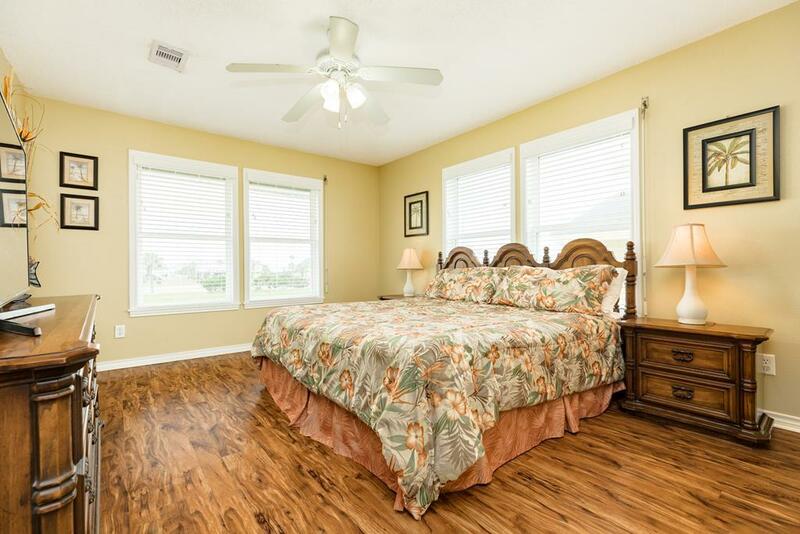 There are 2 master bedrooms with bathrooms, along with a hall bathroom for kids and regular use. There was a picnic table on the shaded deck (it was sunny in the morning, but shaded by lunch time), a dining table with 6 chairs, and a bar on the back side of the kitchen counters that had 5 or 6 chairs as well. The kitchen has a dishwasher, microwave, coffee maker and a toaster. It had large pots and lasagna-type pyrex pans, colanders, measuring cups, knives, as well as plenty of dishes, cups, and utensils for eating. There is also a large picnic table under the house and an outside shower and hose for rinsing off after swimming. The tv area has a couch and love seat plus an arm chair, which seated 6-7 people. You could easily bring over a dining chair if you needed more seating for watching a movie. They have a dvd & cd player, and the entertainment stand had some puzzles, books, and cds. There is a washer and dryer, but there is only 1 heat setting on the dryer. Still convenient if you want your towels or clothes washed. 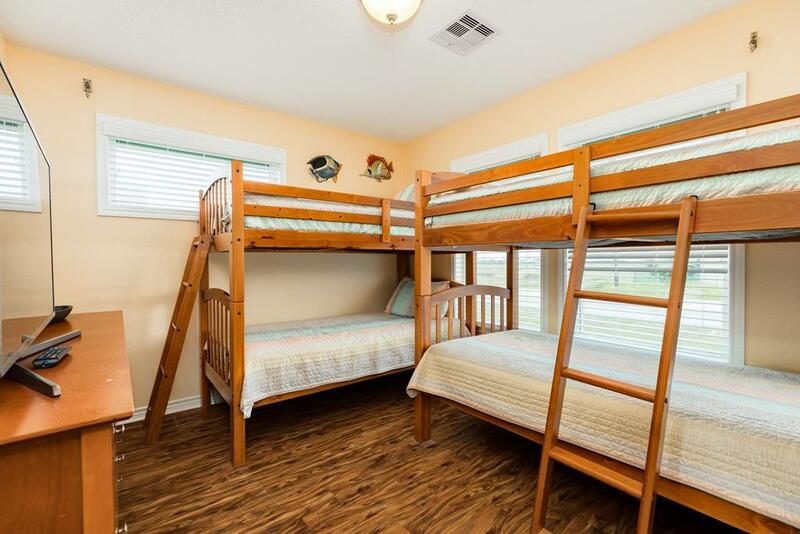 The kids loved sleeping in the bunk beds - we had our boys and their cousins in there, and they hadn't seen each other in a long time since we live across the country. That room didn't seem to cool off as well as the others, but there are little portable fans at the house, and we used one in there. The deck had plenty of chairs and about half is shaded. Be sure to sit out after dark with the deck lights off and gaze at the stars while listening to the waves - very nice. Bring your own beach toys, umbrellas, and ice chests - those were not provided (we came from out of state & didn't have those things.) There was a charcoal grill available which we used for hot dogs & steaks. Overall, it was a great place to stay, and we would love to come back again some time. We stayed at Shore Fun we had a wonderful time with my family! Shore Fun was a perfect fit for our family! Beds were comfortable, very pretty and a better stocked kitchen than my own at home! The view is gorgeous! We were extremely comfortable and felt very at home! Shore Fun is a comfortable, well-appointed home. We enjoyed it thoroughly. I walk with a cane; the handicapped accessible features were neat! This property is awesome! It's clean easy access to the beach we loved this place!! This was an excellent choice for any family with a handicapped person. The bathroom, elevator ....everything made it easy to take my 94 year old mom who is in a wheelchair...she had a great tiem. We are glad that you all enjoyed your time at Shore Fun! While none of our homes are technically ADA-accessible, Shore Fun is certainly laid out well for guests with mobility issues. We look forward to seeing you back at the beach again soon! There's a lot to like about this house: the airy feel, the layout, and especially ADA accommodations. While we didn't have anyone with disabilities in our group, we certainly recommend this house for those with disabilities. We love the open feel too! We have many properties that are accommodating for limited mobility, though none are fully ADA-compliant. Our reservationists are always glad to help with any concerns our guests have. We look forward to seeing the Galveston Gals again soon! Our vacation was everything and more than we expected. Traveling with a mobility challenged father, this house with its elevator and handicap equipped bathroom was a tremendous help! The kitchen is very well equipped and the views from the porch are lovely! Glad we came and 'shore had fun'!! We very much enjoyed this house. Having an elevator made it so much easier to load/unload. The house's setup was also perfect for our family. We loved Shore Fun. The bedrooms and baths were large, and we especially enjoyed the lovely covered deck. Our family spent hours on the porch playing games and reading in the shade. It's a great house, and we hope to reserve it again. Very handicap friendly. Good elevator. This year was the second time we rented Shore Fun but this time we also rented Leeward Retreat next door as well. The kitchen here was very well stocked for cooking for a group and the living area was very roomy. We also made use of the hot tub a few nights during our stay. This was a very comfortable property! Great property. The elevator was a nice amenity. All the rooms were big and loved having them all on the first floor. We really enjoyed our stay here. It was just right for our family. The view is lovely and the house is beautiful. We enjoyed this stay both inside and out. Excellent, clean property with outstanding views and access to sand and sun. The Great Room combination of Kitchen, Dining, and Living with vaulted ceilings and beautiful view make a family feel right at home. The lower level provides ample parking, table for picnic, and is clean and cool with shade. 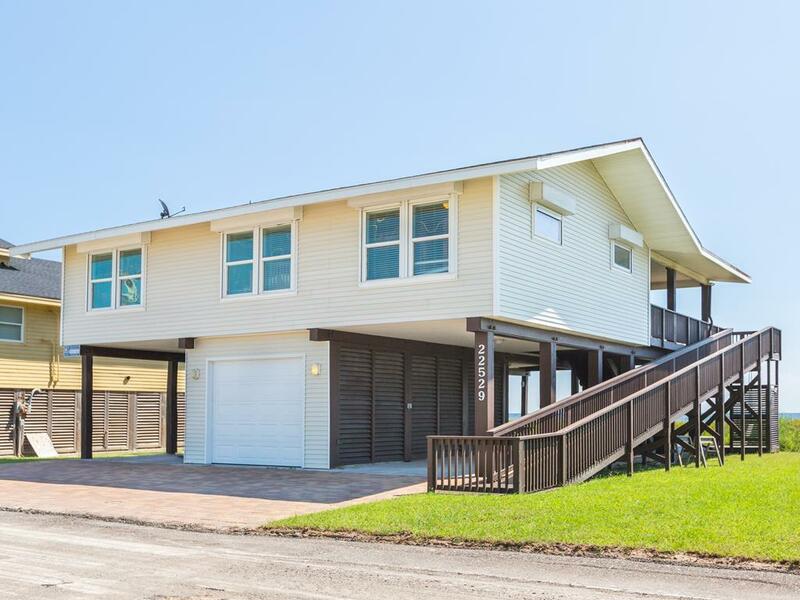 Having never rented a beach house before we were very impressed by this house. It was beautiful and with eleven people mostly grown ups we were surprised how much room was in the house, the beach was great. I would recommend this house to everyone. This is a great vacation home for groups with multiple families vacationing together. There are two master suites, a queen room and a bunk room. There are also three full bathrooms which was a huge plus for us. The kitchen is very well stocked (crock pot, serving platters, etc.) which was a nice surprise. The views from the living room and deck cannot be beat. You can watch the sunrise with an unobstructed view. Really a great house. 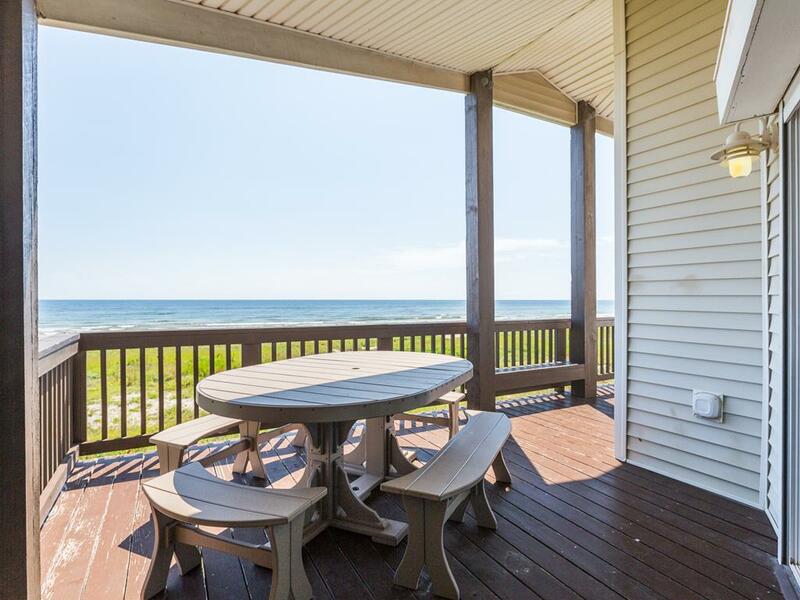 If you are looking for a nice home, with all of the living quarters on one floor, consider Shore Fun. The kitchen is very well-stocked, though rather small, if you are cooking for several people. The most helpful amenity of this property over many others, is the elevator. 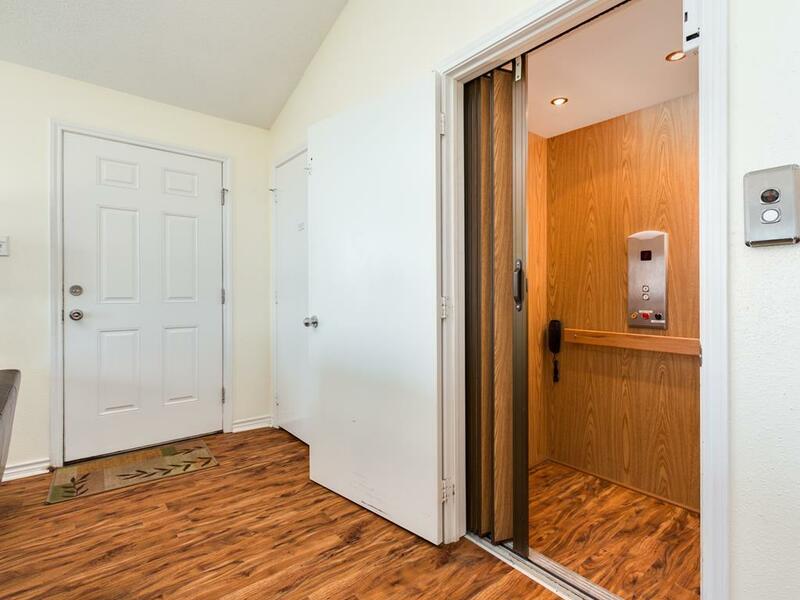 If you have ever rented another property without an elevator, you will really appreciate the convenience of this one! This is a wonderful rental. Great views and right on the beach. Plenty of room and the best stocked kitchen I've ever seen in a beach rental. I'm definitely renting this property again! We were very pleased with the DirecTV. We have that at our home so we were use to this service. The wireless internet was great. No problems logging in. The home is well equipped in the kitchen and laundry. 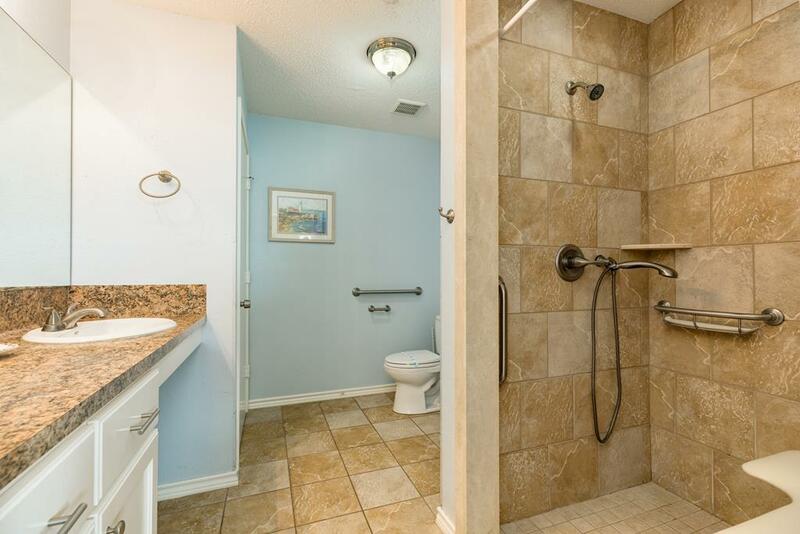 The handicap accessible features were good particuarly the shower. The kitchen contained every possible item and plenty of silverware and glasses. There was a shortage of steak knives but we had brought our own. Hello Roberts family! We are glad you had a great time at Shore Fun! So you know for next time, we keep a wide selection of common household items at our office and are always happy to provide them upon request - just give us a call. We look forward to seeing you at the beach again soon! Great location to the beach and looked brand new. Shore Fun is advertised as being able to sleep 10. However, only 8 can sleep in real beds. Two roll-away beds were provided that were not good enough to even sleep children much less adults. Otherwise, everything about the property was excellent. It is the best equipped rental property I have ever used. PERFECT! The size, the location, the view, EVERYTHING was simply PERFECT! Having never rented a vaction property agents, we were at the mercy of the rental agents. Allison, April, Tuesday and Kim (the only ones we had contact with) were PERFECT! Definitely exceeded our expectations!